Valeri Petrov is a Partner at Axxess Capital. Valeri is a Partner at Axxess Capital, a leading private equity firm in South Eastern Europe. 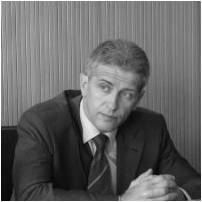 Valeri is in charge of investment opportunities primarily in Bulgaria and the Western Balkans. Valeri was previously a Partner at Bancroft Private and an Investment Director at Global Finance. Prior to moving to the Private Equity industry, Valeri ran Orgachim, the largest paints & coating company in Bulgaria (backed by private equity funds, including RAEF) as CEO, where he completed a successful turnaround. Valeri also held various positions within Royal Dutch/Shell. Valeri holds an Master’s degree in Engineering from the Technical University of Sofia.